Effective implementation of innovation process is important for every organisation especially Small- and medium-sized enterprises (SMEs). Successful innovation implementation in an organisation enables to improve organisational performance. SMEs play a vital role in the economic growth and development of Malaysia besides becoming the lifeblood of a large industry. However, as an organisation that is classed as small and medium size, SMEs face several shortcomings and weaknesses. Among the main barriers faced by SMEs are those related to financial resources and knowledge as well as low-level technical expertise of workers. This has caused the number of SMEs involved in innovation activities to be seriously limited. Therefore, SMEs require support in the form of a simple framework and easily understood guideline of critical success factors (CSFs) that are able to support innovation implementation in organisations. Therefore, the main objective of this study is to identify the CSFs that can facilitate the process of innovation implementation within an organisation. A questionnaire survey is used in this study. The analysis was conducted using Statistical Package for Social Science (SPSS) software. Descriptive statistics was carried out to analyse information about SME background and SME resources towards SME innovation. Regression analysis was executed to analyse 11 CSFs that have been identified from previous literature review in order to identify CSFs that are most appropriate for SMEs. Based on regression analysis, only four CSFs were judged to be able to influence the innovation process for SMEs, which are project leader commitment, incentive and reward for employees, involvement of customers, and cooperation with external organisations. 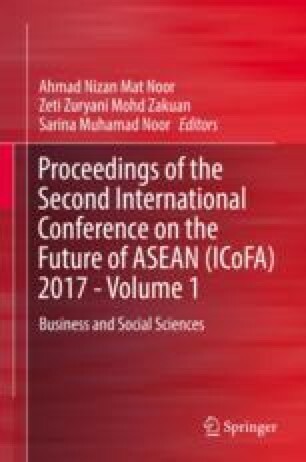 The results from this study may serve as a guideline for Malaysian manufacturing SMEs in order to achieve effectiveness in innovation process implementation.